During the post World War II era, once the use of aluminum became more widespread, the idea of curtain walls were introduced. Curtain wall is the development of a non-structural cladding system that consists of large glass walls panels with aluminum frames. The panels and frames are placed on the external walls of a building and separate the interior from the exterior. This method is used to protect the internal building from the outside elements such air, wind, and water while also stabilizing the building. Once being place, curtain wall has many different purposes to fulfill. Because aluminum has a high thermal conductivity, this helps provide thermal insulation for the whole building. The deeper the thermal breaks are installed, the higher the improvement of thermal performance as well as condensation resistance. Condensation resistance is another factor that curtain walls can help monitor. The type of condensation resistance factor a project will choose will depend on the location of the building and what their specifics are. Curtain walls also help create a barrier to prevent water and rain from penetrating the main interior building. Water is able to enter from the exterior due to a number of factors such as, gravity, air pressure, surface tension, and kinetic energy. Curtain walls can help moderate these forces by minimizing the amount of water in. Also, curtain wall provides a sleek and glazing appearance that is aesthetically pleasing to the public eye. By making it as airtight as possible and increasing the thickness of the glass, curtain walsl can help alleviate exterior noises. Several advantages of the curtain wall system include the extra overall protection of the building. The extra protection also helps prevent from corrosion from forming, which can help lower maintenance costs. Also, curtain walls are able to be constructed from a much lighter material including glass. This allows for more natural light and filtration to flow throughout the building. Curtain walls also act as a fire stop which can help prevent possible fires from spreading between floors and buildings. The air tight construction is energy efficient; during the warm months, it traps the cool air and warm air during the cool months. Considering these factors, curtain walls may be a great investment. 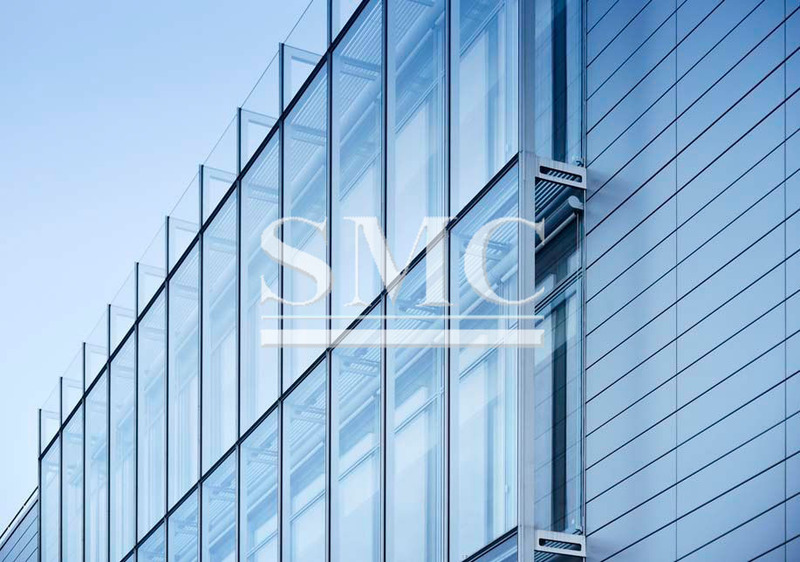 Shanghai Metal offers a variety of different types of curtain wall systems. Depending on what the building's end goal is, Shanghai Metal can help assist customers by meeting their specific needs. Choices can range from thermal specific systems to the standard system as well as hidden or semi-exposing glass.